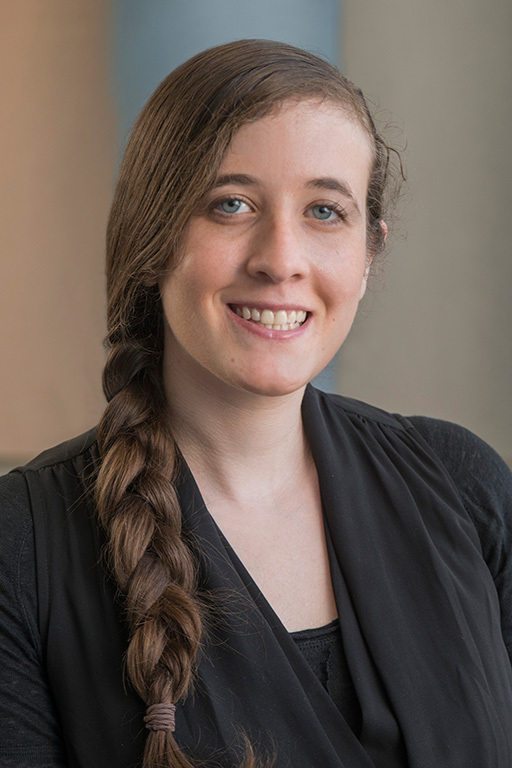 Lauren Feig developed an interest in violence prevention as an undergraduate after reading social psychologist Elliot Aronson’s book, Nobody Left to Hate: Teaching Compassion After Columbine, which explores solutions to the dynamics that lead to bullying, exclusion, and violence in schools. The book piqued her research interest in school-level interventions and the role schools play as a protective and promotive factor in youth development. As she learned more about social work, Lauren wanted to become involved in policy and research, and she applied to SSA. Lauren was a Social Administration student and was in both SSA’s Violence Prevention and Family Support programs of study. Few schools of social work have a violence prevention program, and Lauren says she valued the mentorship she’s received from Dean Neil Guterman, who was her faculty advisor, and her close relationship with Professor Deborah Gorman-Smith, who was her second-year field instructor. “It is incredible to have the opportunity to work with and learn from ‘pioneers in the field,’” she says. Lauren has also done outreach to recruit family members in Humboldt Park to the programs and to recruit research subjects for a study to evaluate CeaseFire Woodlawn and North Lawndale. SAFE/GREAT intervenes at the family level, while CeaseFire is a community-level intervention. Gorman-Smith has also mentored Lauren on a research project that Lauren conceptualized, based on studies done by CCYVP and other research colleagues that have identified a distinct group of at-risk youth who are simultaneously victims and perpetrators of peer aggression. Compared to youth who are perpetrators or victims only, these individuals exhibit poorer psychosocial and behavioral functioning and are more likely to engage in high-risk behaviors such as substance use and carrying a weapon. To explore if school climate acts as a protective factor that buffers the impact of peer victimization on aggression, Lauren is using data from the Multisite Violence Prevention Project, a 5-year randomized controlled trial evaluating the impact of school and family-focused prevention strategies that collected information from more than 5,000 students in 37 middle schools in cities across four states. To give her additional exposure to research, Gorman-Smith invited her to be part of her SSA doctoral dissertation group, where Lauren presented her research proposal in May. In addition to her classes and field placement, Lauren worked part-time at the Coalition for Evidence-based Policy, where Gorman-Smith is a senior research fellow. She evaluated various research studies to assess whether or not they produce valid evidence regarding program effectiveness. “I feel incredibly lucky to be working at CCYVP and for the coalition. Doing so has given me the opportunity to sharpen my research, writing, and communication skills, assets that will be particularly valuable as I move forward in my career,” she says. Lauren says her experiences have taught her how to think differently about prevention of violence and other social problems, appropriate times to intervene, and how different factors impact youth at different developmental stages. She co-authored a paper with Gorman-Smith for the Children’s Legal Rights Journal that explores a public health approach to youth violence prevention.